Call of Duty is the first title in the Call of Duty series of first-person shooters. 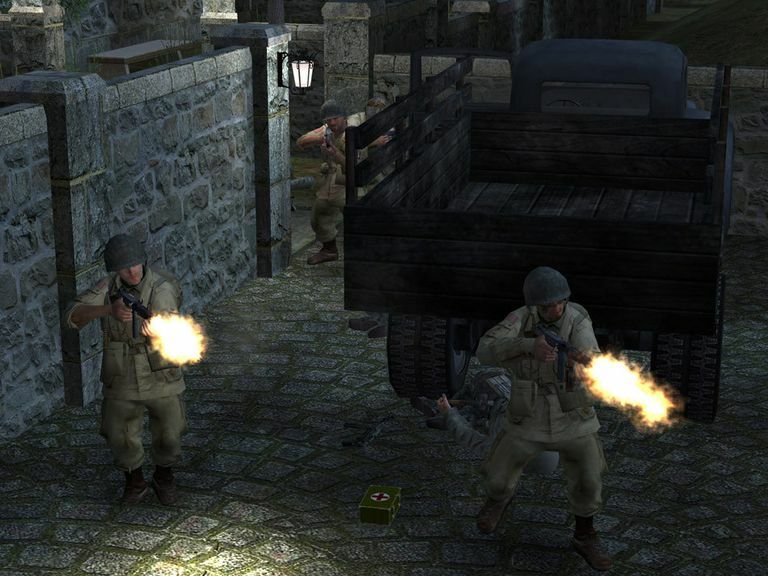 Set during World War II, it offers three separate single-player campaigns played as British, American and Soviet soldiers respectively. In addition to the single-player campaigns, Call of Duty also features a competitive multiplayer mode. This game mode was very well received, contributing to the early success of the game and what the series has become today. Call of Duty was released in 2003 by Infinity Ward, a newly formed development company that included many developers who had worked on Electronic Art's Medal of Honor World War II game. The Call of Duty cheat codes listed below includes all of the known cheat codes that can be used during gameplay in any of the three single player campaigns. The instructions provided for enabling cheats have been confirmed to work for the CD-ROM installed version of the game but there are no known issues for them working on other digital installations of the game as well. Follow the instructions below to enable cheats for Call of Duty on the PC. Right-click on the Call of Duty Single Player shortcut icon and select "Properties"
Start up COD, press the tilde key (~) to enter console. Enter the below cheats for the desired effect. The toggle commands listed below are technically not cheat codes as they do not have an impact on players or gameplay, they more impact the graphics and what is displayed on the screen. The original Call of Duty had one expansion pack Call of Duty: United Offensive which included an additional single player campaign and more multiplayer maps. Call of Duty was then followed up by another PC exclusive, Call of Duty 2 which was also set during World War II and followed the same premise with three single-player campaigns told from the perspective of a different Allied or Soviet soldier. The series returned to World War II with Call of Duty World at War which followed the same form of multiple single player campaigns and competitive multiplayer modes. The list of Top World War II Video Game series is a great starting point for one looking for more World War II based video games.